The Forma™ Full Face Mask forms a superior seal and provides even more comfort with a greater range of movement through the active contouring of its new FlexiFoam™ Cushion. The T-Piece adds stability to the stylized Mask Base, and works in harmony with the highly contoured Silicone Seal and Under-Chin Design to enhance sleep performance. With its ease of use and superior conforming seal, the Forma™ sets a whole new standard. 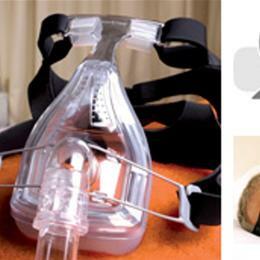 Transform your patient’s sleep experience today, with the Fisher & Paykel Healthcare Forma™ Full Face Mask.